Every new season is an opportunity reevaluate our beauty and wellness routines and take stock of what&apos;s working and what needs to be adjusted. With all the excitement of Easter, Nashville, my friends&apos; engagement party, all the kids&apos; stuff, and work, I&apos;ve been living moment to moment, which of course is a great thing but consequently I&apos;ve been neglecting my diet, fitness, and beauty regimens. 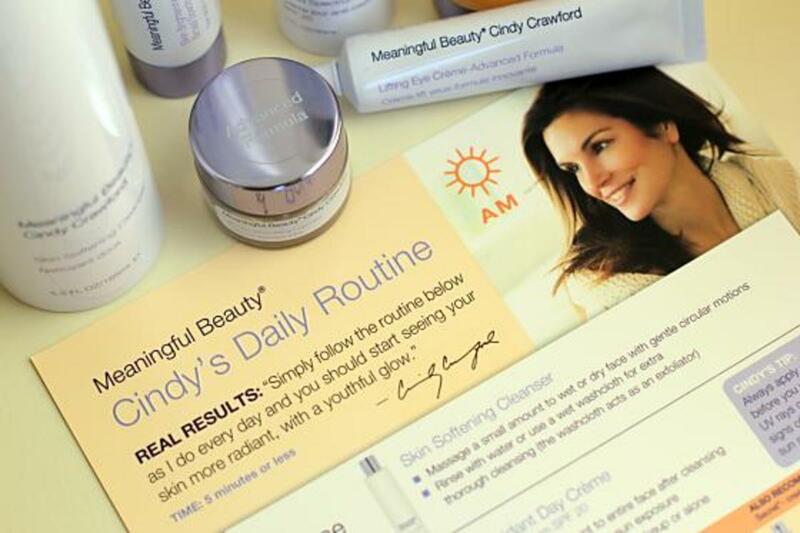 With help from Meaningful Beauty, Cindy Crawford&apos;s 5-step anti-aging skincare program, I&apos;m dedicating this first week of June to jump-starting my summer wellness routine and proving that youth has no age! Have you seen Ms. Crawford lately? She&apos;s truly ageless, in part to the healthy lifestyle she leads. I&apos;ll be doing my best to adopt a similar lifestyle and using all of the Meaningful Beauty products in the new Anti-Aging System. The five day and night time products came in a cute little kit with two bonus products and easy recommendations for how to use them. You can follow my journey on Facebook and Twitter with the hashtag #YouthHasNoAge and I&apos;ll check back at the end of the week with an update and my thoughts on line. 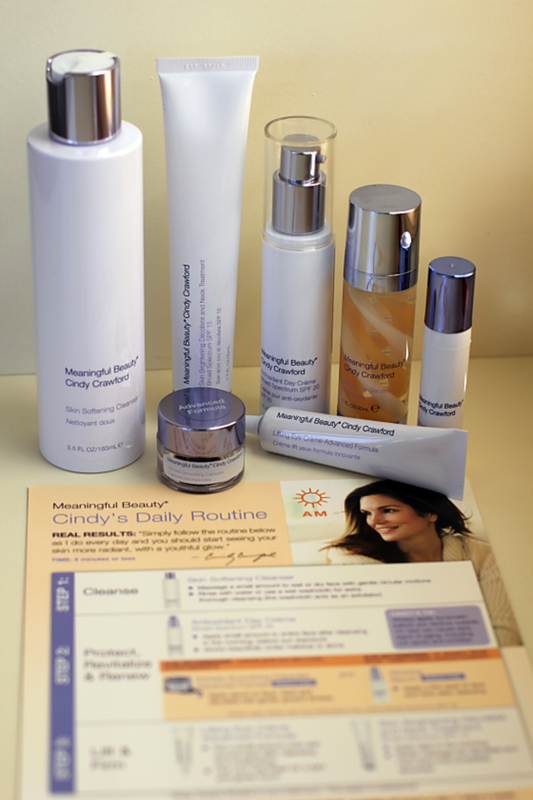 In the mean time, you can visit www.meaninfulbeauty.com for more details on the products. WIN IT! I&apos;d love for you to take the challenge too and experience these cutting-edge products for yourself. I have four (4) Meaningful Beauty anti-aging systems for 4 readers including: Crème de Serum, Advanced Formula Lifting Eye Crème, Skin Brightening Décolleté and Neck Treatment SPF 15, Antioxidant Day Crème SPF 20 UVA/UVB, Skin Softening Cleanser, Wrinkle Smoothing Capsules (Bonus), and Glowing Serum (Bonus). Have a glamorous week! I know I will, wink!